Is your Amazon Repricer cutting it? Billionaire investor Warren Buffett once said, “Price is what you pay. Value is what you get.” His words certainly apply to consumers and sellers int the age of Amazon. First things first: An Amazon repricer is software that automatically changes the price of your products on Amazon, according to factors like competition, cost and shipping. Amazon repricers and the Amazon Buy Box matter because price point matters to online shoppers. Today’s savvy, resourceful shoppers can easily look around for the lowest price. Let’s look at what it takes for sellers to appear in the Amazon Buy Box – and how the best practices of Amazon repricers can help. Among sellers, winning the Buy Box once benefits you over the long term.Once you’re in, you tend to earn more sales and product reviews, which increases your eligibility to be featured again. 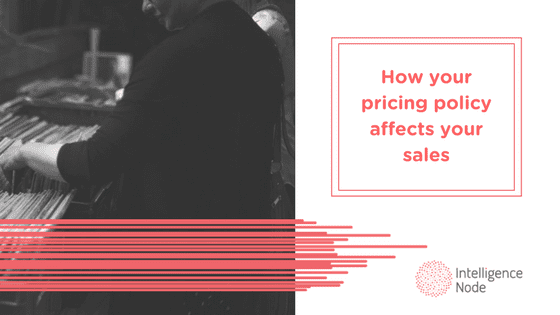 and using dynamic pricing can help you get that first ‘in’ Using a smart Amazon repricing strategy can give sellers a competitive advantage and make them more profitable by achieving timely, attractive prices that will the Buy Box. The petite yet powerful “Add to Basket” button has emerged as the holy grail of retail. Why? It means Amazon’s mysterious algorithm selects your company among competing rivals who sell similar goods. Your company gets pushed to the top of the visibility ranking, dramatically improving your likelihood of converting online browsers into buyers. That’s why every successful e-commerce strategy simply must include Amazon because, “You can’t ignore a channel which has so much reach.” It’s a lucrative opportunity, yet it can be stressful because there’s so much competition. You want to win sales – without compromising excess profit margin. On Amazon’s marketplace, product prices fluctuate as often as every 15 minutes. In response, a successful Amazon repricer can constantly monitor the global e-commerce landscape and update your pricing as often as every 10 seconds. Perpetual price scanning and data insights mean you are better positioned to deliver an optimal price at any time. Real-time market intelligence keeps you competitive and increases your chances of winning the Buy Box with the prices that consumers – and Amazon – find desirable. Too many Amazon repricers are backwards – literally. They focus on retrospective analysis of historical pricing information, whereas an ideal Amazon repricer looks forward and accurately predicts pricing changes. Winning Amazon repricers excel at proactively anticipating price movements based on factors like seasonality, time of day and product category. For example, strong seasonal demand for hot packs (which consumers insert in their winter gloves to keep their hands warm) increases between Black Friday and Christmas, as consumers stock up before ski season starts. Effective Amazon repricers can anticipate how much the price of hot packs will rise during the last few weeks of the year as the demand increases and inventory decreases. Multiple factors matter when competing for the Buy Box. Your Buy Box status depends on much more than price and, as we know, the Buy Box drives purchases. That’s why strong Amazon repricer algorithms consider multiple factors, such as: the number of sellers, product and company reviews, product categories, delivery speed, time of the day and the number of products sold. Looking at all these characteristics leads to a rich big picture to ensure you are best positioned to win the Buy Box. For instance, the faster you can ship a product and get it to an online shopper’s doorstep, the better your chances of winning the Amazon Buy Box. Fast delivery matters, especially among Amazon’s 100 million Prime members. On average, Prime members expect their free deliveries to arrive within a maximum of 3.8 days, as they have been conditioned to expect free 2-day shipping for many purchases. Ultimately, Amazon rewards the seller that can deliver the best overall shopping experience, including factors like pricing, availability, fulfillment, performance metrics and customer service. Notably, Amazon rotates which seller wins the coveted Buy Box, so there is always an incentive to compete for the sales spotlight. Great Amazon repricers can make price modifications based on the number of sellers, which reflects the market’s supply and demand. Specifically there tends to be an inverse relationship between the number of sellers and the price of a product. Yet data can help you take things one step further. That’s because the number of sellers is also impacted by product attributes. For instance, rather than merely considering sellers with products that exactly match your product, you can use advanced similarity matching. Advanced similarity matching helps to see sellers with products that are similar (not just identical) to yours. An exceptional Amazon repricer helps you to expand your competitive pool, with a 360-degree perspective to compare your offerings to exact and similar product matches. (E.g. An exact match might be a royal blue Adidas warm-up jacket; however, similar products might include royal blue, baby blue and navy jackets from Under Armour, Nike and Danskin.) By adding similar matches, you get an even bigger picture of relevant products that your target may consider. More data means richer competitive insights, so you can respond to your entire competitive arena, not just a fraction of your rivals. Why limit yourself? Instead you could access more accurate competitive product benchmarking, which factors in any number of relevant competitor products. As a result, you gain access to the best price, without bleeding out profit margins for the sake of staying competitive, while achieving top visibility ranking. Bottom line: Amazon is hot and only getting hotter, as Prime membership flourishes and voice shopping with Alexa is only in its infancy. Since competition to get win Amazon’s Buy Box is already fierce, repricing software has evolved into an essential part of online sellers’ e-commerce strategy. If the best practices list seems too good to be true, it’s not. Intelligence Node’s 360°Pricing Amazon repricer solution offers frequent price updates, predictive pricing, a holistic market view, and exact and similar product matching. 360°Pricing gives you the richest data insights so your price is always right on Amazon. Using our proven 360°Pricing Amazon repricer makes competitive pricing analysis easy and stress-free because it’s automated. You can relax, knowing you are staying competitive by maximizing your attractiveness – and profitability – on the all-mighty Amazon marketplace. We urge you to book a demo with us.